How Can You Hire Programmers in Serbia? 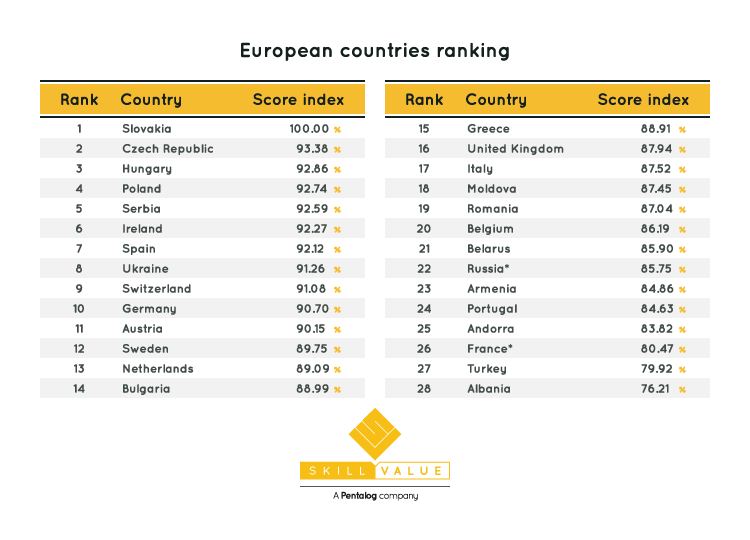 Why Serbian Developers are Top Choice? Are you planning to open an IT company in Serbia? You heard that IT industry is strong in Serbia, but you don’t know much about this country, people, their skills and knowledge? This article will help you explore Serbian marketplace and find the best developers. It’s the truth, IT industry is trending in Serbia. There are so many passionate, dedicated IT professionals that are changing the way the technology works. However, Serbia isn't full of jobless developers. You have to fight for them! In the large pool of talents, you can find a professional with the level of expertise required for a job. Moreover, they will bring you the best quality of code at a reasonable price. IT professionals from Serbia have a strong understanding of western business culture and they are proficient in English, so working with them is enjoyable. Just to make sure that you know, Serbia isn’t the same as Siberia or Syria! Serbia is a country situated at the central Balkan. Belgrade and Novi Sad have many IT companies and IT talents that can help you develop your idea. Also, there are many talents in Niš and Kragujevac. Programmers are following the steps of the greatest Serbian scientists Mihajlo Pupin and Nikola Tesla. In a sea of programmers in Serbia, you might discover the next inventor. More and more people chose to work remotely. This is one of the gig economy trends that will continue to rise. Some companies will have to rethink their hiring process because of that. Some of the top developers on Upwork are from Serbia. They have a good reputation because of the quality of their code and their dedication to the work. However, remote jobs are not suitable for everyone and there still are developers who prefer onsite jobs. So, if you want to open an office in Serbia, you will have plenty of choices when hiring someone. Set up a development center in Belgrade. Yes, there are a number of A-level IT professionals in Serbia, but the challenge is to find the person who fits in your company the best. This is where Omnes Group steps up and delivers the candidates based on your requirements. The most important thing is to hire a person with the right technical skills, without unconscious bias. Opening the IT company has its challenges, which means that you need the most effective way of discovering candidates with the right technical skills. By using our IT recruitment services, you will reduce time-per-hire and lower opportunity costs. While you’re focusing on finding an office or preparing paperwork for your new company, our recruiters can help you find the best candidates. There are a number of job boards that can help you get in touch with candidates such as Poslovi Infostud or Lako do Posla. You might receive thousands of resumes to select an ideal candidate fitting your project. However, Omnes job board is different from these platforms because we post jobs only from IT niche and we have a database of developers that might be perfect for your company. You just need to deliver us information about your requirements and our experienced IT recruiters will handle the rest. The result is that you will receive a clear and objective insight about the top candidates and have confidence when making offers. This is the most efficient way for you to get in touch with professionals from IT industry. Serbia is one of the most attractive outsourcing destinations in Eastern Europe. Export of IT services for the first time exceeded one billion euros last year. To be more precise, IT services last year reached a new record with an export of 1.135 billion euros, which is an increase of 26% compared to 2017 when the export amounted to 899 million euros. 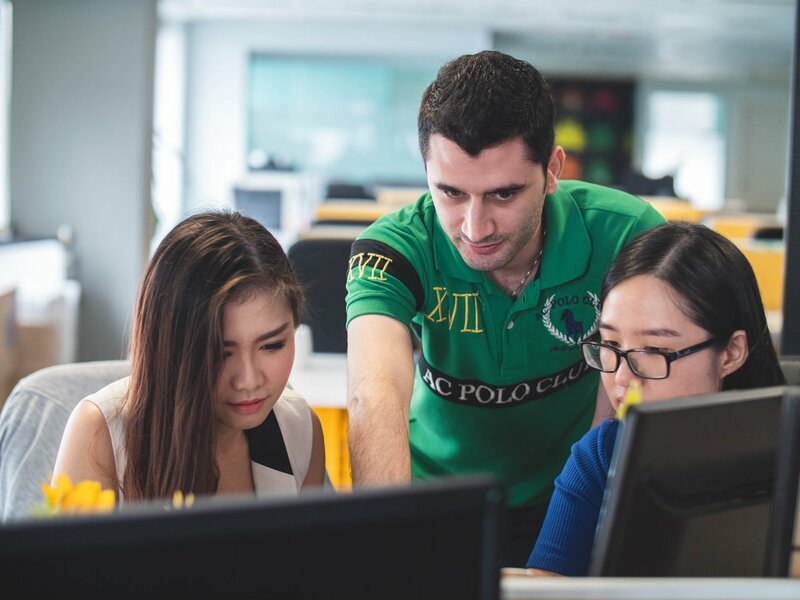 Highly skilled in programming, testing software and designing websites, application design, developers from Serbia had become a strong workforce for companies from US and Western Europe. Nevertheless, outsourcing services can be more expensive than hiring. That’s why most of the big IT companies established their development centers in Serbia. Most of the IT companies are using an agile methodology, which means that developers have a strong work ethic and that they work very quickly in order to meet their deadlines. They are relying on each person in their team and work together in order to bring the best product for their customers. IT companies are working hard on inside branding - they are organising team buildings and other events that will bring the team closer. Also, they care about the progress of their employees, so they are sending developers on conferences and courses where they can boost their knowledge. Many programmers from the Balkan are willing to relocate if they get a good offer. We already have experience with relocating developers to The Netherlands, Belgium, and Germany, and thus we know how to negotiate relocation. So, if you need A-level in-house IT professional, we can help you find one. We will go through the details with you, interview candidates, and you get in touch with the ones that meet your expectations. Our pay-per-stay model is very convenient for IT companies because we invoice our fee on a monthly basis over a maximum period of 12 months. You’re secured if the talent leaves - we’ll just stop invoicing you. However, our goal is to find a perfect match that will be happy in your company, and that will fit perfectly in your team. It had never happened to us that developer left the company, so we believe that we’re doing our job well! However, if you want to fire somebody, you should give them one month notice period. It can last longer or shorter - you have the freedom to set this yourself, as long as the time period is longer than what is required contractually. Serbian children receive excellent primary and secondary education while technical sciences universities are on a very high level - Faculty of Electrical Engineering in Belgrade and Faculty of Technical Science in Novi Sad. While Belgrade University is ranked between places 301 and 400 on Shanghai Academic Ranking list, University of Novi Sad one of the top 500 universities in the world in Mathematics. Most students started working while they were still at the university, so they have an opportunity to apply their knowledge and skills on projects. Nowadays, children in Serbia are learning about programming from an early age. There are courses where children can learn Python. However, not everything is about the “official” education. A vast number of developers learned to code on their own because they are passionate about coding. Some of them are in the top job positions in IT companies because of their skills and knowledge. People in Serbia have high English proficiency. Most people start learning English in kindergarten and pre-school, so language barrier basically doesn’t exist. Because of the school system that requires learning English language, nearly everyone can speak English. Also, parents are aware of the importance of learning languages, so they are enrolling their children to English classes from an early age. Salaries in Serbia depend on many factors, such as seniority and the city. Salaries in Belgrade are a bit higher than in Novi Sad and other cities, but the standard is higher there as well. The average salary for senior backend developers in Belgrade is around 3.144,77€, while in other cities in Serbia is lower. However, Belgrade is the center of IT industry, so there are more choices. 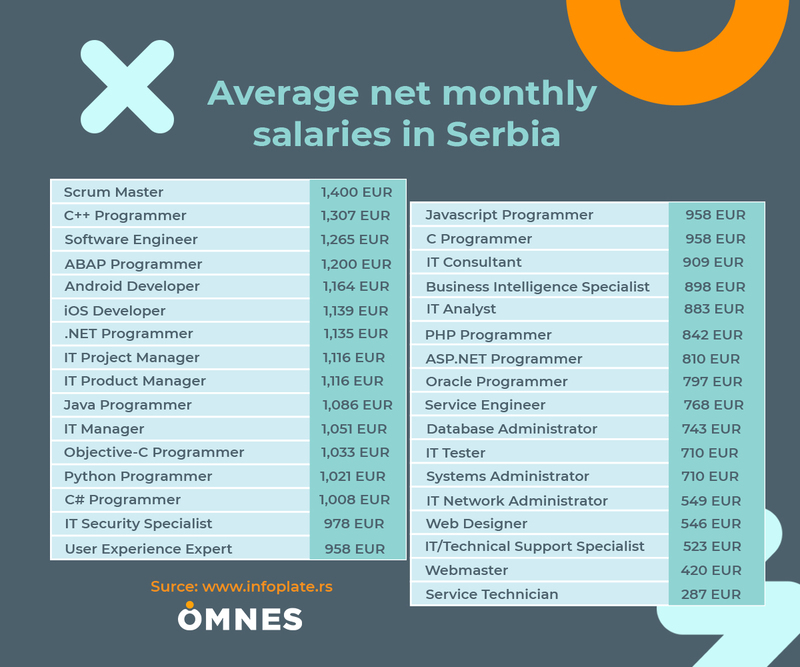 This table represents average salaries in Serbia, which means that there is a big difference if you want to hire a junior or senior developer. [caption id="attachment_613" align="alignnone" width="1200"] There is a big difference if you want to hire a junior or senior developer[/caption] Are you ready to meet the best IT professionals from Serbia? Contact us and we will help you meet the best developers! Not every candidate is just sitting at home and waiting for you to answer their job application. While you’re taking your time, developers are hunting for new opportunities and there are a lot of them. They don’t even have to apply because recruiters will come to them. So, when you post a job ad, the hiring process should become your top priority. Would you be interested in hiring a person who responds to your email after a week? The same is with candidates - they won’t take you seriously unless you act like a professional. Developers are forming an opinion about your company during the hiring process, so you have a direct impact on the company reputation. Also, your employees and customers are both suffering because of your decision to hire slowly. It’s time to speed up your hiring process! How long should hiring process last? According to Glassdoor, the average length of the interview process is 23.8 days, but it can vary widely depending on many factors. 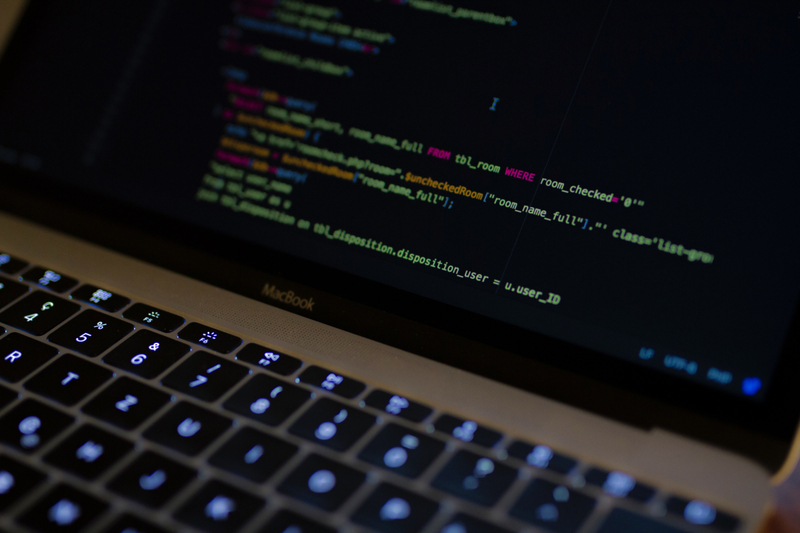 More complex jobs mean a longer time-to-hire, so there is a big difference when you want to hire Software Engineer and Data Entry. The thing is that pre-employment screening can be faster if you hire an IT recruitment agency because you won’t have to deal with the average candidates. Instead, you will receive a short list of the best candidates that you can interview and make a decision quickly. Everybody wants to find a perfect candidate, but that’s not a reason to take an employment screening slowly. It’s the opposite. You should speed up things if you want to find the best candidate. That doesn’t mean that you should hire in a day, but you should be insightful and act quickly if you think that you have found the right person. It’s important to be aware of the consequences of slow hiring, so let’s get to the point. While you’re making a decision about contacting top candidates, they are receiving alternative offers. So, why would they decline a current offer because of a possible future one that you may give them? Unless you’re Google or some other company worth waiting for, candidates will probably go for the next good opportunity. Maybe the reason why your hiring takes time is that you have an excessive number of interviews. If that’s the case, you’re wasting time and money of your company, managers, or HR professionals. These costs are not so obvious because they are not included in the standard cost-per-hire calculation. Your employees have better things to do then to go through resumes and interview every candidate. They have to sit in on each interview while they can develop some great things for your customers. These “hidden” costs will go up as the time goes on, so they are unproductive cost. Are you aware of that? The fact is that the hiring process takes time and involves costs, but you can ease the entire selection and hiring process by using technical screening services. Technical interviews know what type of experience, knowledge, and personality the potential employee should have so they will ask them a number of questions in order to see if they’re the perfect fit for a company and a job. You may be a perfectionist who wants to do things slowly and minutely, but the fact is that your hiring decision won’t be better just because you had more time to gather information. Slow hiring has the opposite effect - the longer you wait, the lower the quality will be. As mentioned, top candidates will drop out, and you will have to choose between average and week candidates. Also, candidates will have abundant time to rethink whether they want to work at your company, so they may drop out of the hiring process before your company begins interviews. If you know what kind of profile you’re searching for, go for it and contact the best candidates immediately. If your key programmer has left the company and you have to find somebody to replace them, it’s crucial to act quickly. The team is depending on this person, so their results will probably be lower. It can dramatically impact their productivity and motivation to work so you may lose one more employee as well. Employees who came from other faster-hiring IT companies will get frustrated because they know that these extended vacancies aren’t necessary. Don’t expect from others to work overtime just because you didn’t manage to find a new employee. Although some mistakenly think that having position vacancies can save you money, that’s not true. Annual cost for an empty seat of a technical professional is 2 times’ salary. Losing the key developer mean that some critical work will actually stop during these unnecessary position vacancy days. Each position vacancy day has a significant impact on productivity, innovation, and revenue generation. That’s one of the main reasons why you have to take pre employment screening seriously. If your team is not strong enough without the employee who left your company, your customers will notice it. The quality of your services will drop down or become slower and your customers will start to question your authority in the field. They may leave you, or you may have a serious talk with them. Don’t put yourself in this situation. Bad reviews are the last thing you need. If they leave you and tell your potential customers about their experience, your problem will become bigger than it is now. IT community is strong and they talk about each other’s experiences. If developers have a negative experience with pre-employment screening in your company, they will tell their colleagues, post their experience on social media, or they won’t apply again. That can cause you to lose many top candidates, but it will also influence your brand image. For example, frustrated candidates will post negative reviews on Glassdoor about their experience which can hurt your brand image. This will discourage many of the top candidates to send their application for your company. People may say that every kind of marketing is good marketing. In this situation that’s not true! You have to brand your company as “a place to be”. Slow hiring can affect your employees, customers, costs, your brand image, and company in general. You’re putting your company on risk, so you better change your hiring process and start acting like a professional. Luckily, there is a solution to this problem. Technical screening services can help you not only to hire faster but to save money and time and reduce unconscious bias. At the end of the process, you will be sure that you’re making the best decision. Let us help you! Our interviewers are IT professionals that have several years of hands-on experience in the IT niche. Start your recruiting journey with us! Do you like firing people? Well, nobody does. It's uncomfortable for both sides, it takes time to find another IT professional, and involves costs. Moreover, annual cost for an empty seat of a fired technical professional is 2 times’ salary. But what if you make the same mistake again and hire somebody who you will have to replace after a few months. Disaster! Be honest with yourself. Don’t be afraid of taking on someone who is confident or talented. If you want your company to grow, you will have to face the fact that you can’t know everything. It’s simply not possible. That’s why you want to hire a person you can rely on. Moreover, you can learn from the new employee, improve your skills, and boost your company’s growth. When it comes to candidates that are more qualified than you required in a job description, you shouldn’t just reject them. Maybe you’re afraid that they’re going to get bored and leave the company, but perhaps this person can help you improve your company by staying there just for a few months. They may have a significant influence on a team, and you will have time to find a way to keep this overqualified employee in a company. The situation when you want to hire someone immediately - this is when the most costly hiring mistakes can occur. This kind of situation can cause anxiety, so hiring managers sometimes overlook the flaws in potential candidates and end up hiring someone who really doesn’t fill the bill. Just because you’re in a hurry, it doesn’t mean that you shouldn’t check basic things such as references and test their skills and personality. Candidates may look perfect in a resume, but that doesn’t mean that they were telling the truth. [caption id="attachment_569" align="alignnone" width="1226"] No matter how urgent the situation is, pre-employment screening is a must[/caption] Sometimes it’s better to hire a freelancer to finish a job than to hire someone who isn’t the best choice for the company. Just think about how much time and money will you waste on the onboarding, only to find that he/she is not up to the job. After a few months, you will have to repeat this process with another person. If you decide to handle pre-employment screening on your own then you have to be fully committed to the role. Avoid too much subjectivity, focus on a candidate’s verifiable qualifications, and make a plan for hiring. This will help you avoid common mistakes and attain better ratios of hiring success. Hiring process usually takes time and involves costs, so think twice before you make this decision If you don’t have time to commit to this task, you can always rely on professionals to handle pre-employment screening. Omnes will rate your candidate’s overall technical knowledge to help you reduce time-per-hire and lower opportunity costs. The hiring process can be time-consuming for both managers and potential candidates. With this problem in mind, IT recruitment companies started using technical screening interview as a powerful technique that helps both sides realise if they’re a perfect match. There are many techniques that hiring managers or recruiters use for pre-employment screening. For example, they can use applicant tracking systems, reference checking, online checking, skills test, phone or video interviews. Some of these techniques are more effective than others, so company usually hire IT recruitment companies to find the best tactic and bring high-level candidates to the interview with managers. The screening interview is usually the first step in the hiring process. It can be conducted over the phone or in-person. Candidates will talk with recruiters or people in human resources who understand the requirements for the open position. They’re not necessarily IT professionals, but they know enough about the field to see if the candidate is competent for a job. Recruiters will ask them a number of questions about their career, goals, qualifications, and achievements. If a recruiter schedule an interview, that means that candidates resume caught the attention of a recruiter, but they will meet manager only if you pass this kind of interview (and other steps in the recruitment process). What is a technical screening interview? In a typical screening interview you can expect general questions such as - "can you tell me something about yourself and your previous job" or "why are you interested in the job", while technical interview will dig deeper into candidates knowledge. They will also want to get to know the candidate, but they will ask them questions in order to test their tech competency and experience. After IT recruitment agency interview few candidates, they send clear and objective insight about the top candidates to the company. The person who does pre-employment screening is an experienced person who knows a lot about the niche they are hiring. They’re usually IT professionals who can dig deeper into potential employee knowledge. Technical interviews know what type of experience, knowledge, and personality the potential employee should have, so they will ask them a number of questions in order to see if you’re the perfect fit for a company and a job. For example, if a company wants to hire Java developer, the interview will ask candidates technical interview questions such as “How does Garbage Collection prevent a Java application from going out of memory?” or “How is Java SE related to Java EE?”. Why do companies need technical screening? Just as you can waste your time on bad candidates, bad recruiters can also be a problem. Not everyone can be so insightful to see if the person is right for a job. Technical recruiters know exactly what to ask in order to see if a candidate is good enough for a job. Technical skills are crucial for recruiters, so companies will get a report about candidates skills and choose if they want to meet those candidates. According to Harvard Business Review, if there’s only one woman in your candidate pool, there’s statistically no chance she’ll be hired. Unconscious racism, ageism, and sexism play a significant role in who gets hired, whether we want to admit it or not. Once a resume is rejected for biased reasons, that candidate is lost forever. Biases can also shape a company or industry’s culture and norms, so the awareness of this problem is the first step for your company - understanding what hiring prejudices are and how they operate. Unfortunately, interviews provide the most opportunity for unconscious and conscious bias during the entire hiring process. However, there is a solution to this problem. Since technical recruiters focus on candidates skills, they will be able to deliver you potential hires based on the quality of their work. If you’re looking for a senior developer, you want to talk with one. You don’t have to waste your time on someone who is lying in a resume to get your attention. You never know who is going to come to an interview until you talk with that person. Technical recruiter will handle all these candidates that are not a good fit for a job, so you will spend time talking only with the best one. For A-level candidates, there are hiring opportunities everywhere, so you have to find a way to attract their attention and keep them in the company. If you make the wrong choice at the beginning of the hiring process, that will cost you more money and time. Technical recruiters can help you make the best candidate choice, but your job is to find a way not to lose them. At the end of the technical screening, you will have proof that you’re talking to the right candidate. That means that your investment is going to pay off. You’ll have a new employee in your team that has knowledge, experience, and that believe in the company’s vision. When done well, technical interviews can help flesh out what’s not on a resume. Sometimes candidates neglect to include other qualifications they have that could put them over the top. Moreover, you can see how confident they are about their knowledge, are they passionate about the job, willing to learn, but you will also see if they are eager to quit their current job. What you have to understand is that this is a two-way conversation, so provide recruiters with all necessary information about the job and company. Are you ready to change the hiring process of your company? Our professional IT recruiters will bring you only A-level candidates. Did you know that there is more than 20 million open jobs and 590 million members on LinkedIn right now? It may look like it would be easy for you to find a job, but you won’t be noticed unless you start thinking strategically. What does “thinking strategically” mean? 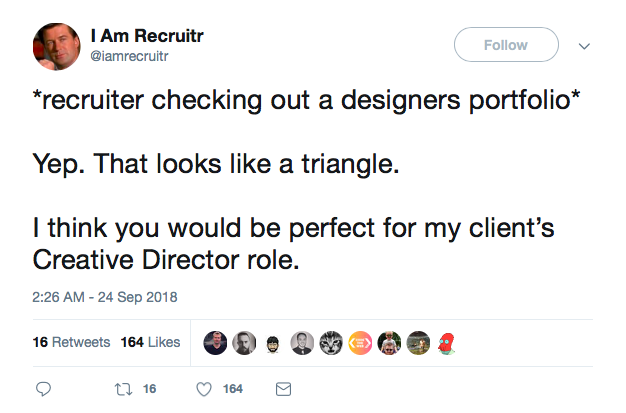 First of all, your profile has to be visible to recruiters. If your profile cannot be found on LinkedIn, you have a serious problem. Secondly, you have to find a way to keep IT recruiters on your profile and make them want to contact you. So, it’s not about how lucky you are, but how wisely do you use your LinkedIn profile. The great news for you is that you can rank more highly for the types of jobs you’re most interested in if you think strategically. How do IT recruitment companies hunt for professionals? Think about how you hunt for a job. You probably search for some keywords, job title, location, and industry. The same is with recruiters. You get a list of jobs, while they get a list of people who they can match with a job. Just as you don’t click on every job opening, recruiters pick only those candidates who are the most appealing and relevant to their search. So, what exactly do they do? They select the most important skill required for the job they are filling. If the position is not remote, location is a significant factor for them. Recruiters usually prefer local candidates. They may use some other options such as industry or education. They get a list of possible matches and then the negotiation begins! So, if you want recruiters to contact you, your profile should be on the first or second page of their search. However, your profile should be optimized well in order to be visible on in search results. You have to stand out from other candidates, so you better start working on improving your profile. Also, it will be better for you if you make your profile public and create your own link (and it will take you only 60 seconds to do so). However, basics are not enough if you want IT recruiters to contact you. Let’s dig deeper into LinkedIn algorithm and mind of recruiters. How can you improve your LinkedIn profile? Your headline and current or recent job title is the first thing recruiters look for, but they’re important for LinkedIn’s search algorithm as well. It’s the major piece of information seen in search results alongside the name and profile photo. Make sure you have specific job title and headline because "Multi-skilled Professional" won’t tell anything to them. Use the full potential of these 100 characters that you can use for the job title. Be specific, but describe what you do. Incorporate common terminology used in your industry, use some buzzwords that can help recruiters find you. However, LinkedIn’s search engine is not smart enough to understand synonyms. So, if your job title is uncommon, you may consider a hybrid title, or you can break it down into its parts. For example, you can write Senior Software Engineer I Java Developer. Yes, your skills are important, but recruiters will first contact candidates who are more likely to accept their offer. They usually target local candidates at the beginning and set their advanced search to only bring up candidates living within a 25-mile radius of the company. So, if you’re willing to move because of the work, you should consider changing your zip code. Think about where would you like to work or which city offers the best jobs from your field. Further, you should specify which cities you’re willing to relocate. Just go to “Career interests” settings and update your location preferences and other settings. However, if you don’t add your location on the LinkedIn profile, you might not show on IT recruitment agencies localized searches. Remember, keywords have the most significant impact on LinkedIn search ranking, so you better put the right keywords in different sections of your profile. Are you aware of the fact that you have to brand yourself as a professional who is confident, passionate about the job and who is reliable? In the summary section, you have an opportunity to be creative and stand out from others. Put a bit of your personality and voice and show recruiters that there is a person standing behind the profile. Write about who you are, what do you want from a job and what your experience is. Once recruiters come to your profile, it’s important to keep them, so you better be creative. Also, write those keywords we talked about earlier in summary as well. Have you already added relevant job experience on your LinkedIn profile? Recruiters are looking for people with certain types of experiences. As mentioned, they will do a keyword search but that only searches the work experience part of your profile. Your LinkedIn profile is your resume, so describe the positions just as you would do in it. If you’re a beginner, add a volunteering experience or some projects that you did on your own. When headhunters search for a potential employee, the first few things they’ll see are the headline, your name, and your profile photo. There is a more possibility that they will visit your profile if you have a profile picture, so you better upload it. But don’t put just any photo on your profile. You want to look professional, so make sure that your picture is clean, simple, and that you wear appropriate clothes. Also, your photo should be up-to-date because it might make you seem deceptive if you meet someone in person. Nevertheless, you don’t need to get a professional headshot, but you do need a photo that shows your face clearly. Here is an extra tip - choose a brightly colored background that isn’t distracting. It’s not only about the number of connections you have, but who you’re connected with. The more common connections you have with a recruiter, the higher your profile will be in the results when they search the specific keyword. Degrees of connections are also important because recruiters are more likely to connect with you if you have some connections in common. Start with people you know, but don’t stop there. It’s important to connect with professionals from your field of work, not only locally, but internationally. In the end, check spelling and grammar mistakes because this can be a huge red flag for recruiters. There are a number of free grammar apps, so you don’t have an excuse. Also, if you misspell a keyword, recruiters won’t be able to find you. There is even a better reason for you to check grammar. According to research, professionals whose profiles contained fewer mistakes achieved higher positions. So, ask a friend to check your profile or use some app that can help you find mistakes. Don’t just create a profile, never log on ever again, and expect that jobs will magically come to you. The thing is that you should be an active participant on LinkedIn if you want to be noticed by recruiters. So, comment posts, join groups, write articles or share things that are trending in the industry. Always keep your profile up-to-date and write keywords in every section of your profile (but not to much of them). You have to think about both the LinkedIn search algorithms and the recruiters themselves, so think strategically, and recruiters will keep coming to you. We are always looking for high-level IT professionals. Let us help you find a job! One person can’t and shouldn't do everything on their own. That’s why gig economy is so great for companies. You can hire experts when you need them so you can focus on your job. Also, people no longer want to sit 40+ hour week in an office, so this is a great way to hire professionals for remote jobs. According to Intuit CEO Brad Smith, 43 percent of professionals will be gig workers by 2020. Some companies will have to rethink their hiring process because of that. It might be hard to find quality candidates as more shift into the gig economy, but IT recruiting companies can help you to overcome this obstacle. The gig economy gets its name from each piece of work being related to an individual 'gig'. This is an environment in which temporary positions are common, so companies and organizations make a contract with independent workers for short-term engagements. For example, delivery couriers, Uber drivers, and TaskRabbits are all part of the gig economy, and they allow people to connect easily with others in need of simple services. This is a win-win situation for both companies and employees. 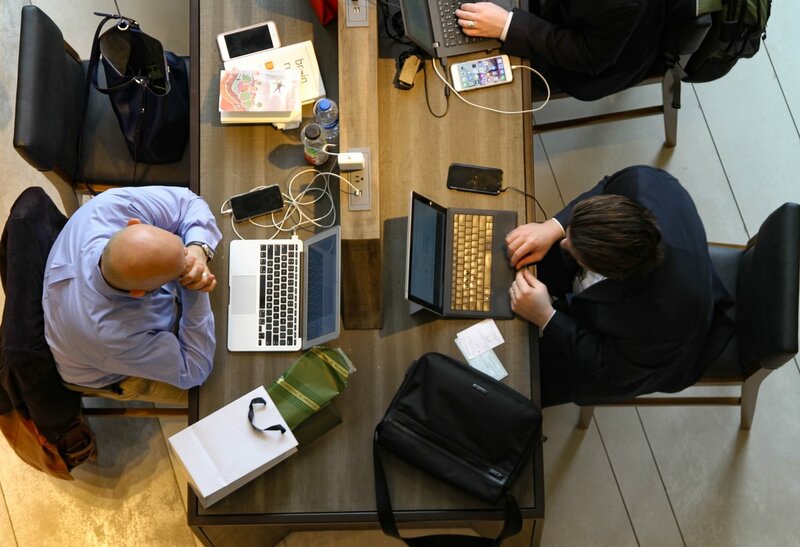 In this digital age, work can increasingly be done from anywhere, so freelancers can select among temporary jobs and projects around the world, while employers can pick the best individuals for a specific project. Many people hugely value the flexibility that platforms provide, but these rights will make a difference to the lives of the most vulnerable workers. The number of people working for short-term engagements is going to rise in the future, so it’s necessary to set some rules and protect these people. Sometimes, a candidate can have a great portfolio but might be the wrong choice for your project because they lack the expertise to execute your particular task. For example, excellent copywriters may not be great bloggers as well. That’s why it’s important to interview candidates and get to know them better. IT recruitment agencies can help you find the best candidates and handle the onboarding process. This is another useful thing about the gig economy - you can hire IT recruiters to manage the hiring process for you! Zero-hour contracts can backfire if you need dependable staff. That’s why is important to make a contract where you describe what you actually expect workers to deliver. Set up specific deliverable that can help both sides agree when the project will be considered complete. It’s easier for freelancers if they have a clear brief outlining your expectations from their work. Also, provide some context for them. You can choose a person from your internal team that will help with training, queries, and management as required. Although your new employee doesn’t sit with you in the office, they need a bigger picture about your company’s goals and importance of the project they are working on. There is a number of apps that can help you stay connected with your team. Some IT companies work remotely, and they still manage to get their work done. To ensure that chaos doesn’t ensue, you can use Slack, GitHub, or whatever app fits your company the best. What’s crucial is that you have all documents, tasks, up-to-date information in one place. Employees can edit docs on the go, share up to date information immediately and communicate with each other effectively wherever they are. When you hire an in-house employee, the onboarding process can last for months (and it should). However, you can’t afford for the process to take this long when you hire a permanent employee. IT recruitment companies can help you strip out unnecessary training and provide documents with information that you can use for every new employee. Recruiters can handle their questions about the company and the job, but they will also ensure that both sides are happy with the contract. Working with people means that you should have a two-way dialogue. Being a freelancer can be hard if you don’t have all the information needed. Have I done the work well? Encourage freelancers to ask this question, or tell them before they even ask. Have a five-minute chat to tell them what went well and what didn’t. If you have a problem with their work, tell them. However, if they get the job done well, commend them in front of others. That will motivate employees and give them the confidence to continue working on the project. Furthermore, let them give you feedback about the company as well. You can improve your company’s reputation by listening to others. Both companies and employees know that the contract is going to end when the work is done. That means that you’re probably not the only client to the person you hired. The disadvantage of the gig economy is that this person may not be dedicated solely to you and your project. However, if you are organized enough, you can deliver all the information on time so the job will be done well. The fact is that not everyone is productive working from home, and not every project manager is able to handle their team from a distance. Moreover, some jobs require an intrinsic understanding of what your company does or the way project should be done. Make sure that you consult your IT staffing agency about the new opening in your company. They can assist managers in how to manage gig workers, but they can also handle legal requirements and contractual obligations. So, what do you think? Is the gig economy the right choice for your company? Let us know! How will you measure your IT recruiting company's success unless you track metrics? Quality of hire may be the main metric you have to track, but if you want to get the full picture of how you and your team are doing though, you have to track other key recruitment metrics. Yes, there are a number of recruiting metrics online, and if you follow all of them, you won’t have time for other important things. That’s why we made this list of key recruitment metrics that will help you improve the hiring process. All the data you have in your hands can be valuable, so don’t miss the opportunity to collect this information. All these metrics are linked together so they can give you valuable insights into every single part of your recruitment funnel. 1.Sourcing stats: Which channel gives you the best candidates? Every top recruiter needs to know the answer to the question where do the best candidates come from. You may need a few months to answer this question, but after tracking this data, you should have a very clear idea of where to find A-level candidates for different roles. Nowadays, you have plenty of choices when it comes to sourcing channels - job boards, employee referrals, social media, etc. Nevertheless, you have to measure their effectiveness in order to save yourself time and money. For example, you can do it by using a combination of Google Analytics and UTM parameters. It doesn’t matter what kind of system you use, as long as you track it. This metric will help you track the speed of your pipeline and show you how much time do you spend between the moment a candidate is approached and the moment the candidate accepts the job. Time to hire will give you insight into how efficient and effective your team is at this side of the process. Most organizations have a hire slow, fire fast policy in order to skip mistakes. However, that’s not the best approach because the top 10% of talent tends to be off the market in 10 days. So, find out where the blockages are in your hiring funnel and try to hire faster without mistakes. Known as the Golden Metric, QoH will give you an indicator of the first-year performance of a candidate. Why is this metric so important? Well, a single bad hire can cost companies a lot, and they will spend a lot of time trying to work with the wrong person. This is a bit difficult metric because it has a long-term horizon, and you can only measure it many months after you’ve made a hire. Quality is often vague and subjective metric. You will have to use a number of other metrics such as new hire performance, turnover and retention, and hiring manager satisfaction ratings in order to make an evaluation. There are a number of formulas that you can use, so choose the one that fits your needs the best. How much does each new hire cost? You have to know this in order to allocate the recruiting budget. 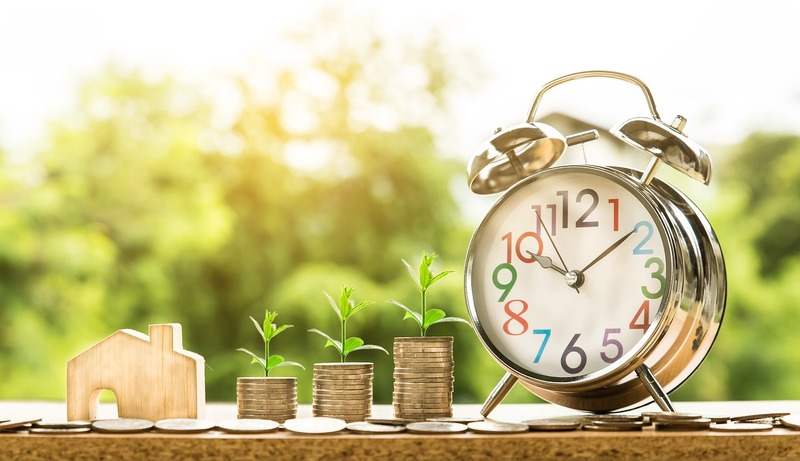 Just like time to hire, the cost per hire metric will also give you an insight into the (in) efficiency of your recruitment process, but there are a number of things you need to account for here: advertising costs, recruiter fees, managers time spent interviewing, candidate expense, LinkedIn and other social media accounts, new hire training costs, etc. Keep the cost information together in one place and you will be able to create the precise recruiting budget. Candidate experience starts when they first have contact with your brand. You have to be careful when choosing IT recruiting agency because the sourcer that engage new candidates represents your organization. This person is the only real window into your company for a candidate. Make sure that a recruiter sends personalized messages, do research on each candidate, and follows your strategy. However, the idea of candidate experience is often pretty intangible, so you have to ask them for feedback. Surveys: Use Typeform or SurveyMonkey in order to make quick questionnaires. Don’t send these questions just at the end of the recruiting process because you can get a lot of interesting insights from candidates who are midway through. Feedback collection: You can use Beamery Surveys to get feedback for every email that you send. Candidates leaving their thoughts with the click of a button can be really useful. So, you did everything well. Your applicants made it all the way to the end of your recruitment funnel, but for some reason, they didn’t accept your job offer afterward. The offer acceptance rate metric shows you the percentage of candidates who accepted your formal job offer. So, if the candidates keep rejecting the offer, you have a real problem. This can mean that candidates got a better offer somewhere else, or they didn’t like your company culture, but usually, it’s about the salary. If you want to skip the money problem, you can discuss the salary earlier in the recruiting process in order to minimize the impact of a refused job offer. However, you can suggest other benefits for candidates besides the salary such as gym pass, work from home option, extra holidays or free lunch. Be creative! This is a really valuable metric that can indicate problems with the onboarding process or candidate choice. Early turnover rate counts the percentage of people that left the company voluntarily within a year after they started. If an early turnover rate is high, it usually means that there’s either a mismatch between the candidates and your company culture or between the candidates and their expectations of the job. If you don’t see the problem during the hiring process, you can fix it during the onboarding! So, use these tips for the onboarding process, and both new employee and company stuff will be satisfied. Every time you feel bored collecting this data, remember the sentence from the heading. Use the advantages of technology and collect this valuable information to make things right for everyone - candidates, managers, employees, your team and yourself. You will need to wait for results, but these metrics will help you work faster and smarter. Once you have numbers in front of you, you will be able to make changes that will lead you to success. There are incredible IT recruiters that will do everything to help both companies and job seekers to find what they are looking for, but there are also a ton of folks who just want to close the deal. Nowadays, it’s easy to become a recruiter, so some people are not taking this job seriously. You can call yourself a recruiter right now, but you have to earn people’s trust through your words and actions. To become an IT recruiter, you don’t necessarily have to come from HR backgrounds. Some of them may have experience in design, marketing, customer service, coding and a variety of other fields. IT recruitment companies hire recruiters who care about people and have the skills to find the best match for the job position. So, what makes a good recruiter and how can you recognize the bad one? Let’s find out! That is not the person to be your representative. Now, let’s talk about good recruiters. First of all, they don’t use your vulnerabilities to get you a job you don’t really want. They are trying to build a long-term relationship and they are patient with you. But let’s go into details. You will easily notice if it’s time to break up with your recruiter. Good recruiters won’t brag about other candidates they placed into jobs and talk about them. On the contrary, they will ask you questions about your experience and career path, what do you want to do next, and what do you expect from a company and a job. While a bad recruiter may talk over you, a good one will listen to you carefully. Further, they should know a lot about you before they even call you. Your resume, LinkedIn profile or blog will help them get to know you before even talking to you, so you better update your profile and portfolio. Yes, recruiters have to reject more candidates than they hire, but that doesn’t mean that they should just stop communicating with you. They should find a way to turn rejection into a relationship. Sending a post-interview rejection letter should be a must, but it’s even better if they send you a personalized email. If they do so, stick to them because they are trying to build a relationship with you and to stand out from others. Any suggestion they give you can be helpful. You should appreciate these details and use them to improve your skills for a next interview they schedule for you. Why would you tell anyone who you barely know personal things about your life and career? A recruiter has to earn your trust, so if they ask you about your relationship, kids, or current salary, just stop any contact with them. However, they can ask you for your target salary. When we switch jobs, a slight increase in pay is a good deal. Good IT recruitment agencies know where to find experienced candidates, but they also keep in touch with past applicants. They don’t just wait for a job opening announcement to start looking for candidates, but they send you an email once a week to check on you. Even mail message that lays out your terms for engagement can be helpful for potential candidates. Engaging passive candidates is very important for creating a strong network. Remember, they represent you, so they should care about you! To understand job seeker needs means putting yourself in their shoes. So, a recruiter who talks down your expectations is not worth your time. If you have high expectations, they will explain if they aren’t reasonable. However, they shouldn’t bully you into taking the first job offer you get. No matter how desperate you feel about finding a job, a recruiter is here to help you find the job that suits you the best. Good recruiters need to really dig into hiring managers’ needs to understand candidate requirements. After all, a recruiter should send only a few resumes instead of tons they have received. To thoroughly research each role they recruit for, recruiters should do more than just read a job description or get a list of desirable skills from the hiring manager. They should know more about the IT department and the extra qualities they should be looking for. So, if they have all these skills, they can advise you about your expectation. There are so many roles a recruiter have to handle. 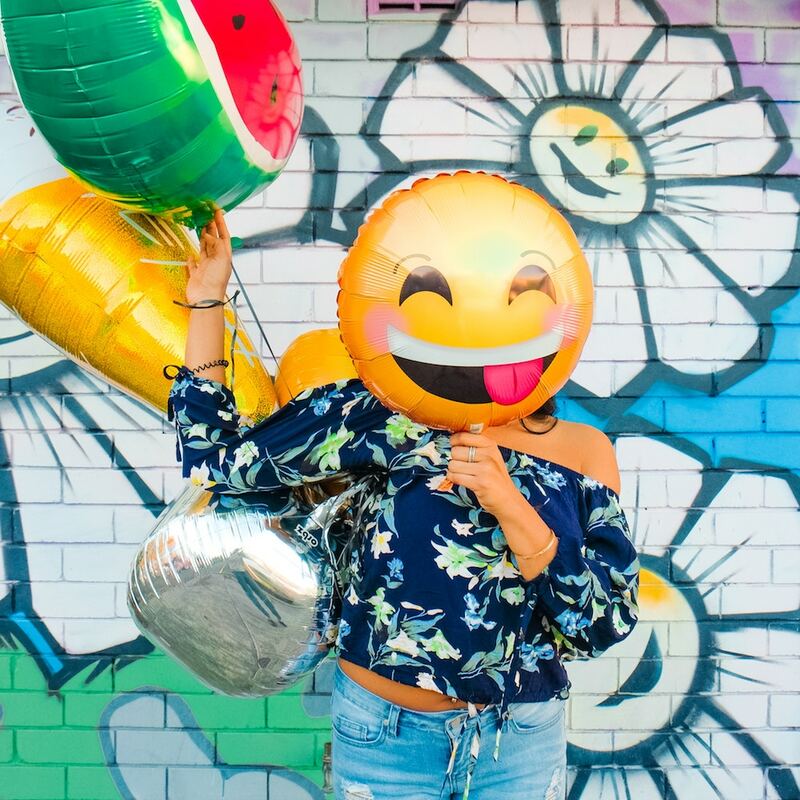 Sometimes, they are marketers who post compelling job ads, sometimes they act as salespeople or PR who boost their company’s employer brand, but more importantly, they should know a bit about psychology to better understand candidates’ reactions. They have to interact with so many different people with different needs every day. Not everything is about finding a perfect person for a job. Recruiters have to interact with clients, job seekers, they participate in the onboarding process, and get frequent feedback from new hires. A good recruiter is able to handle all of these things on a daily bases. More importantly, they are able to stay calm and friendly to job seekers, although sometimes this job isn’t easy and stress-free. How many steps in the recruiting process will you have to go through? How to prepare? A good recruiter should inform you about all the details. If there is an issue, they invest their time to help you solve it. After a job interview, they will give you feedback. If they don’t do so, or if they say that the employer won't return their calls, something is wrong. They should use all these qualities that made you trust them in the first place in order to find you a job. The truth can be hard to swallow, but that doesn’t mean that a recruiter should lie to you. Sometimes, they will tell you that a job is not right for you. Don't hate the recruiter for telling you the truth. However, a great recruiter should be able to speak the truth in a way that is not offensive, but that will clearly convey exactly where candidates stand. After all, they had handled a number of applications and they know what both you and a client wants. Nevertheless, if an IT recruiter tries to shine you on for weeks, telling you that they are still waiting to hear back from the client, they may not know what they are doing. So, dump this recruiter and find someone who behaves as professionally as you do. 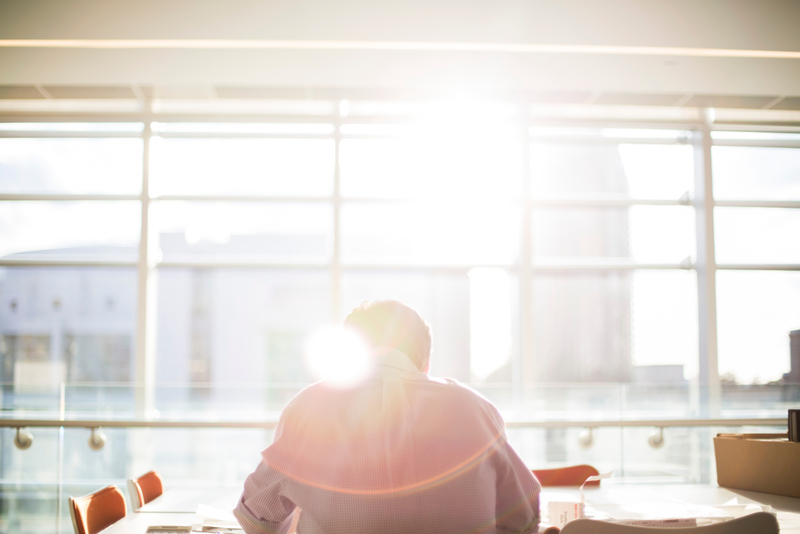 Can you rely on your recruiter when making hiring decisions? A good recruiter should have consultative skills, but they should also send you relevant job offers. Just as consultants deliver advice based on their knowledge and expertise, great recruiters exhibit the same behavior. Bad recruiters will just drop your resume after the first rejection, but the good one will stay in touch with you and let you know about other jobs at their client organizations. You will easily notice the great recruiter because you will keep returning to them whenever you want to change the job. You’re not just a number! Let’s be honest, dealing with recruiters can be time-consuming, and sometimes exhausting. But it doesn’t have to be! A recruiting process is a great journey if recruiters treat you well. You have to value yourself, so don’t let some stranger ruin your career path. Professional IT recruiters can help you find the perfect job, so let’s find the new job opportunity together! For some people, working remotely is like dreams coming true. Those who love to work from home will tell you that there is a number of benefits you will enjoy by working remotely. In fact, they are right. 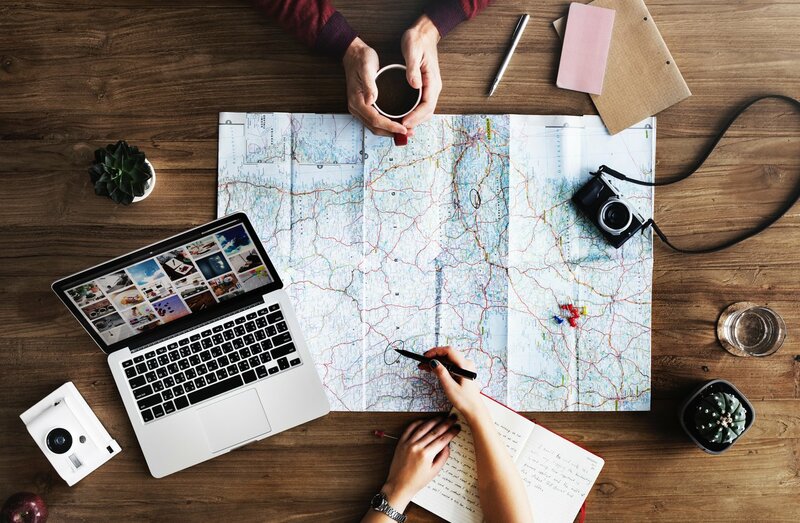 You can organize your time the way you want, no more sitting in traffic driving to the office, more time for yourself and your family, and you can travel around the world and work. Moreover, working remotely is turning into an expectation from employers. Many IT recruiting agencies are searching for A-level professionals, so they can help you find a great company and a remote job. However, finding and keeping a remote job can be challenging, especially if you’re used to working from an office. That’s why we’ve made this list that will help you overcome these challenges and find a perfect remote job. How to find a remote job? Getting a remote job is not so difficult, but it’s different from getting a regular job. Some hiring platforms might be overcrowded, but if you’re patient and if you’re working on your skill, you’ll get a job. You will probably get very little response at first, so you have to be creative in order to get noticed. The competition for remote jobs is probably higher than competition for regular jobs, so you have to market yourself and get creative with job applications. The key is to find the right sites that list remote jobs and to identify the right companies to follow on those sites. I guess that you already know the difference between a remote and freelance job, so just use “remote work” filter, in order to find a job that suits you the best. 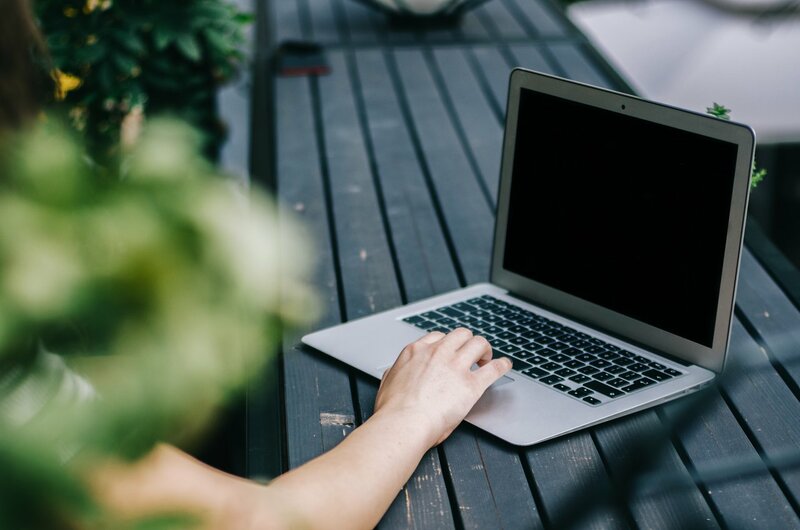 Check out the sites that will bring you closer to your perfect remote job. There's a ton of junk out there for job seekers - from jobs that are too-good-to-be-true to broken links, repetitive postings, or just straight-out scams. For a small price ($14.99 a month) you can use FlexJobs and avoid these scams and find a full-time, part-time or even some jobs that are perfect for testing your way into starting a freelance business. FlexJobs offers job postings from a wide variety of industries, it has new posts all the time, and posters usually get back to you quickly after you’ve applied. Remote.co is actually part of FlexJobs, but it helps companies hire, train, and manage remote employees. They also post jobs daily, and the response time is similar to that of a regular job application. Also, they have great blog resources and Q&A for remote job seekers. You can learn a lot about working remotely here. Some would say that Upwork is overcrowded, but with good skills, you can find a way to distinguish yourself. You may be underpriced at the beginning, but once your clients get to know you, you will get good reviews and well-paid jobs. Though generally not full time, this is a great way to see if a remote work is for you. However, Upwork does charge a service fee, but you can earn money quickly. Unlike the other sites on this list, this site is geared specifically toward start-ups and there’s no fee to pay. If you enjoy working on early-stage startups, this is a place for you. Just make a profile that stands out from others, and get the list of jobs. After that, just click “yes, I’m interested” on a job offer, leave a note for the hiring manager, and wait for them to respond. The process is really easy - no resume or cover letter needed. Just stay active on this platform and you’ll get a job! On this platform, there are many job offers for designers and software engineers, but also for marketers and developers. This online board is great for those who want to find a remote job and it’s constantly being updated. You can search for a job by title or skill for free, find a job, and work from anywhere you want. However, if you are looking to hire a remote employee, you will have to pay $200 for 30 days per post. From jobs and companies to courses - on The Muse you can find everything you need to succeed. You can check out companies that hire remote positions or simply search for jobs by selecting a location (remote). Moreover, you can ask for advice about your career, speak directly to other Musers, or find a coach that will help you kick your career into high gear. You can find a number of tech or non-tech jobs opportunities here. Remote OK will also send you email updates when new jobs in your category are posted. So, if you’re searching for employment opportunities outside of the tech industry, this could be the website for you. As you may know, working remotely is a bit challenging, so you have to learn how to stay productive. If you don’t do so, you may end up working for a whole day. Anything can distract you - kids, pets, your favorite series on TV or a call from your friend for coffee. Further, you can get lonely or have a lack of motivation for work. That is why remote work is not for everybody. Some people get motivated in an office environment, while others thrive working remotely. Whether you enjoy working remotely or not, you can manage to succeed in it. Do you like your job or just the lifestyle that goes with remote work? Whatever reason do you have, you should keep reminding yourself why are you doing it and why is important for you to stay productive. There is no one around you telling you to do your job, so you have to motivate yourself. Further, if you want to be the best at what you do, you have to love your job. That will motivate you to wake up earlier, to look forward to Mondays and to focus every day. However, if you have Sunday dread, analyze it. It’s normal to have it from time to time, but if you feel anxious about your job regularly, it’s time for a change. Remember, having a remote job gives you an amazing opportunity to live the lifestyle that you want while doing the work that you love. If you don’t feel this way, think about what causes the problem - is it the remote lifestyle, or is it a job you do? Communication might seem difficult in a remote team, but it’s crucial. Luckily, there is a number of platforms that can keep a team together - Skype, Slack, Pidgin, Trello, BlogIn, or simply email. It’s important for everyone to feel like a part of a team, to understand the mission and vision of the company or project, and to stay up-to-date with organizational performance records. Try to find a company that values these things. Further, it’s important to become visible to team members in order to stay in a loop. Inform them daily about your tasks, ask them about a project, and you will feel that even though you’re physically far away, you’re a part of a team. According to the study, 80% of young professionals admit to working from bed, but this is a bad habit for so many reasons. The bedroom should be a place for relaxation. If you don’t set boundaries, you may start to feel like you’re always at work. What you have to do is to create a working environment in your home. So, put a desk and a comfortable chair in a bright part of your apartment and decorate a working space with a plant in order to create a positive environment. This is a place where you will be spending eight hours a day, so create a comfortable, but working atmosphere there. For keeping any job it’s crucial not to make mistakes and to finish tasks on time, so determine your working hours and lunch breaks in order to stay productive. Creating a list of tasks you want to complete by the end of the day will help you focus and skip unnecessary breaks. You don’t want to work 12 hours a day, so you better stick to the schedule! No cooking or ironing during the working hours. Prepare food beforehand and schedule a lunch break. Knowing that you have to stop at a certain time will help you focus on finishing a task. However, if you like to make longer breaks and go to a coffee with friends, that’s also fine. Just make a schedule and stick to it. Are you ready to start your first remote job? Always keep in mind that you have to present yourself at your best. Prepare your resume, make a profile on one of the hiring platforms and organize your time and working space. If you don’t want to search for a remote job, IT recruiting companies can find it for you. You can overcome all the challenges and obstacles that go with a remote job, just give yourself time. Everyone knows that happy, engaged employee is a proactive employee, but a recruiter can’t go around and ask the employees how they feel. The more productive tactic is to plan an excellent employee onboarding process that will show new hires everything they need to know about the company and their duties. The thing is that more than 30 percent of employees have left a position within six months of starting, usually because companies didn’t plan the onboarding process well. Does a new employee have a good relationship with their colleagues? Do they know what the company's goals and values are? Is their work valued? These are just a few questions that a recruiter should deal with. Yes, new hire accepted a job offer, but they are still not 100 percent sure that the job will be what they expect. The first impression will help them form an opinion about the company, so if this process is chaotic or unhelpful, you could scare them away. If the company is organized, an employee will be, too. They won’t waste their time on social media because they don’t know what to do and who they are supposed to ask simple questions. Their job performance can only go forward if the initial period goes well, so don’t leave new employees in the dark. You don’t want them to leave the company after a few months. This would be a huge waste of time for everyone. Employees who go through a structured onboarding program are 58 percent more likely to stay with a company for three years or more. Customers see everything. So, if your employees are engaged and productive, customers will see that and keep coming. Everyone likes to work in a pleasant environment, so engage employees from the start in order to increase customer satisfaction. 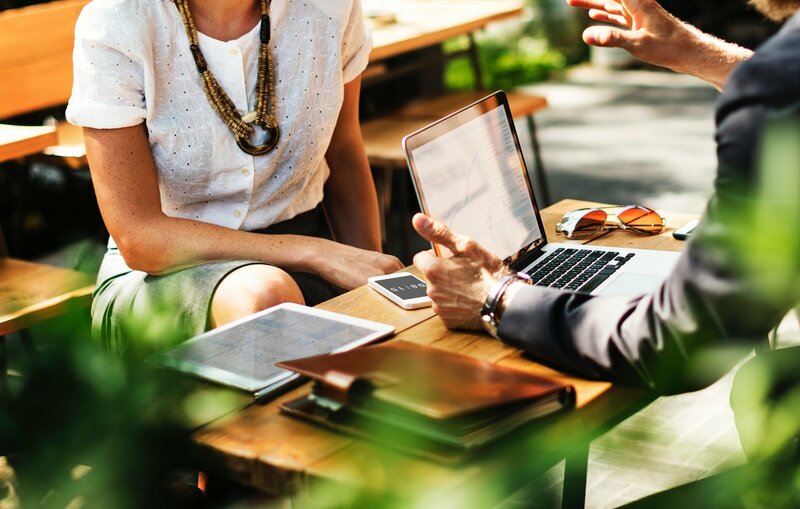 There are many reasons why the employee onboarding process is a must for every company, but let’s focus on things IT recruiter agencies should do in order to build a strategy for the process. Let’s find out how you can make a remarkable first impression and convince new hire to stick to your brand. Yes, the first day of the work is very important, but it’s also important to prepare a new employee before that. They may know how to get into the building, but there is a number of other relevant information that recruiters can give them before they start. Let’s see what. Written plan in PDF - every company should have it in order to skip the usual questions. Take a time to collect all the necessary information and find out exactly what you want to include in the document. You can add some things in advance, but when you finish it, you can send it to every new employee. Remember, this document should be consistent and informative. Introduce the new employee to colleagues - tell them who is their new manager and introduce them to team members. Tell everyone in the company that there is a new colleague coming. Set up the employee’s workstation. Fill out paperwork before beginning. Having this information will help the new employee focus on their first day of work. They will understand their new role and they will be able to assimilate into their new position better. A new employee may have experience in a similar or identical position, but every company has different rules, culture, habits or priorities. It may be obvious for people who work there, but it’s important to explain how you do things to new hires. The manager should go over the specific expectations and requirements of the role to a new employee. Putting yourself in new employee shoes could be very helpful. Don’t just tell them what they should do, but why. It’s better if they understand the company’s mission and business values from the start. People are not machines. They want to see value in the things they do. You don’t have to go rafting to get to know people better. Simple team building activities such as bowling or even indoor games that encourage cooperation and collaboration can help the new employee get to know the group better. This may not be one of the first steps for employee onboarding but you should definitely use this tip in order to bring team closer, promote companies values and boost employees creativity and productivity. However, many people see these activities as pointless and silly, so you have to find a way to make them interesting and memorable. You can’t force your employees to like each other and to hang out, but you can organize random coffee date pairings for employees or bringing teams together for a joint happy hour or a fun activity as mentioned. Just because new hires survived the first day at work, it doesn’t mean that an IT recruiter job is finished. 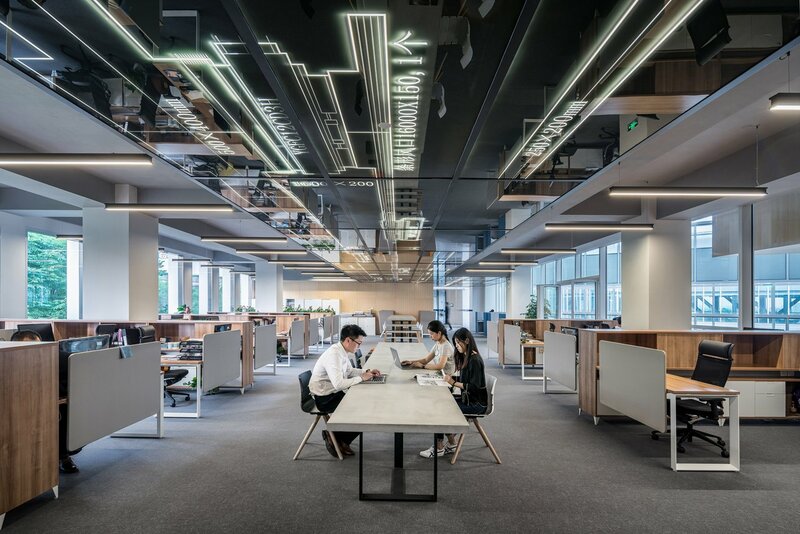 For some people, the onboarding process will be longer and it depends on the employee’s work experience, social skills and the particular challenges of the job. Whether you think that they are doing great or not, it’s always smart to schedule a few check-in meetings with the manager and HR. They can review how an employee is doing, evaluate any progress made on goals, and get a sense for whether new hires are adjusting to the culture. Schedule check-in about a week after the employee starts, a month after and then you can do it every two or three months. Getting feedback from new employees can help you improve the onboarding process and make constructive changes in a company. Use check-in meetings to ask new hires about the onboarding process, or make the feedback anonymous rather than soliciting suggestions during one-on-one meetings with your team. This way they will feel more comfortable expressing negative experiences so you can use more honest answers to improve the process. Did they feel welcomed and part of the team right away? Or did they felt alienated and unsure of their role? Getting feedback like that can help your company decide whether to switch to a different method or to stick to the existing one. Even though new employees try to hide it under masks of smiles and enthusiasm, they are under pressure during the first week. So, it’s important that mentors/buddies constantly communicate the importance of their contributions to the growth of the business. At the end of the day, mentors should review employee performance, encourage them through any errors and emphasize company ideals. Simple tasks build confidence, so let them get used to the company and colleagues in order to handle more difficult jobs down the line. As you can see, IT recruiter agencies have to plan the employee onboarding process in advance. This is not some random welcome gesture, but the comprehensive plan. Recruiters should prepare all necessary documentation, choose a person who will welcome new employees as soon as they arrive, take them on a tour of your company, show them their workspace and introduce them to their new colleagues. Moreover, a recruiter should schedule the first-day orientation, surprise them with company branded gifts, but also make sure that their new colleagues take them out for lunch. It’s important that new hires feel comfortable in the new environment, that they feel free to ask questions, and more importantly - that they want to stay in the company. If you don’t want to go through these steps over and over again every few months with new hires, it’s crucial to carry out onboarding process as well as possible. Remember, humans have feelings, so communication is the key to every problem.